Posted April 16, 2018, in Student Alumni. 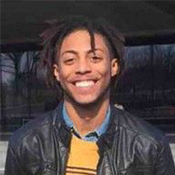 Elijah is a senior at Rutgers studying Political Science with a double minor in Africana Studies and Writing. In the Summer of 2017 he helped develop an educational nonprofit based in Trenton called HomeWorks, an after school boarding program for underserved girls in the city and currently serves as Director of Community Outreach. He enjoys helping others, soccer, and writing. Page last updated by Senator Walter Rand Institute for Public Affairs at 12:11 pm April 4, 2019 . This page was printed from http://rand.camden.rutgers.edu/2018/04/16/elijah-sumners/ at 4:30 PM Monday, April 22, 2019.